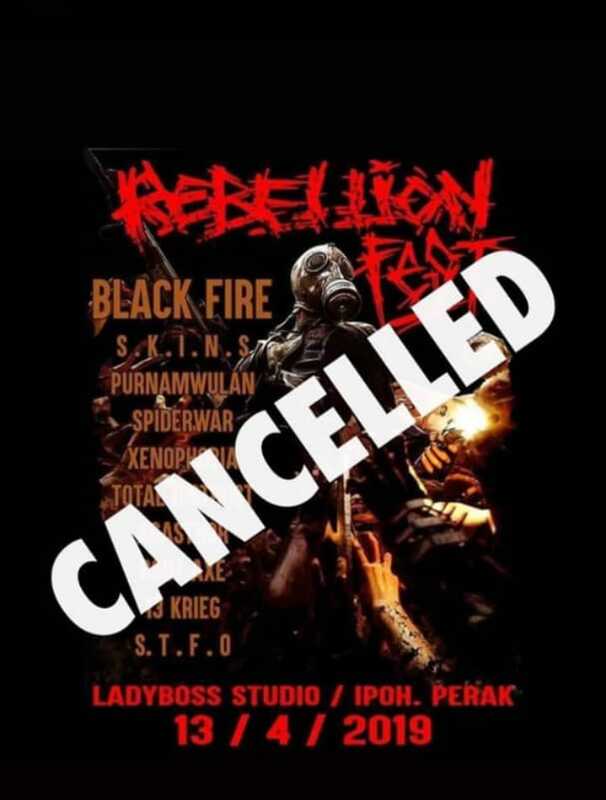 Malaysian black metal band Blackfire legends (formed in 1982) have recently been embroiled in a controversy regarding a neo-nazi show that was canceled in Ipoh. The flyer, as you can see below, has their band name and logo as the main headliner of the event. 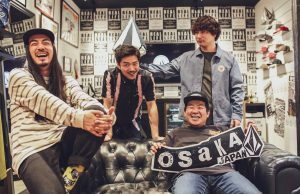 The band has just released a strongly worded statement clarifying unequivocally that their are in fact two versions of the band. The original legendary act was put to bed 10 years ago. 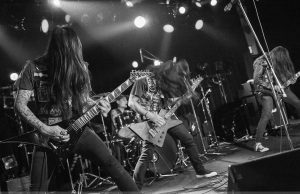 This formation of the band, which is properly being dubbed “Fakefire”, only consists of one of the original members. 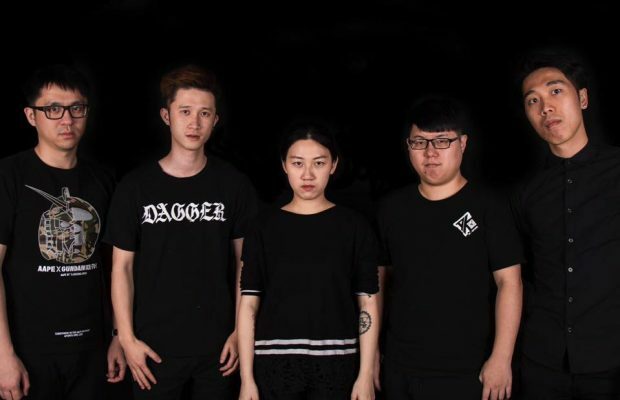 “Sadly we had to take note that the Blackfire knock off that uses the same name, led by one original member will be playing on a fascist rock event. Therefore we feel the urgent need to state that Blackfire NEVER had a political agenda, it was all about the lyrical and musical art of mysticism and darkness. Azmi, who due to a stroke is unable to make a statement on his own, has always been a man who treated everyone with respect regardless of your ancestry, ethnicity or religion. 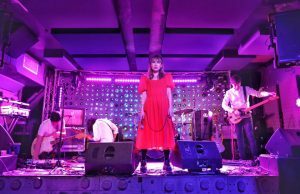 A show like this would never have happened with Azmi, who officially put the band to rest 10 years ago. 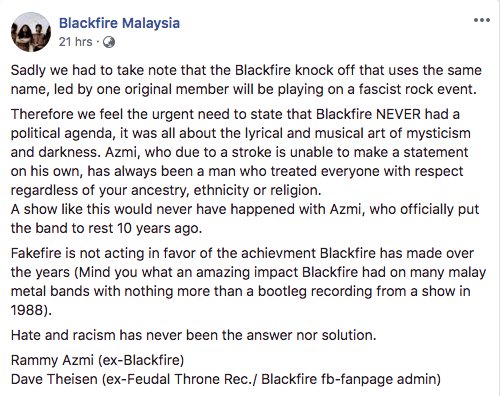 Fakefire is not acting in favor of the achievement Blackfire has made over the years (Mind you, what an amazing impact Blackfire has had on many Malay metal bands with nothing more than a bootleg recording from a show in 1988). Hate and racism has never been the answer nor solution.